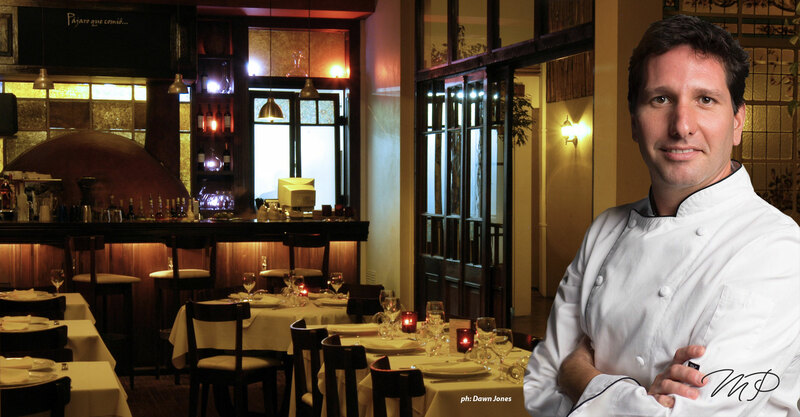 B orn in Argentina, Maximiliano started his passion for the cuisine back on 1996, in the classrooms of “Escuela Superior de Hotelería” in Buenos Aires. His grades helped him to become chef instructor. During three years he worked under the supervision of the most important chefs of Buenos Aires and Conrad Beach Resorts in Punta del Este, Uruguay. By the autumn of 1999, he received his first international offer, to join the Inter-Continental Hotel in Hyde Park, London, under the hat of Chef Peter Kronberg and his team of the 2*Michellin stars restaurant “Le Soufflé”. He started as a trainee and, by the end of his contract; he had already been promoted to Demi-Chef. In 2000 Max wins his first international award: the Silver Medal in Mediterranean Cuisine, UK Hotel Olimpia 2000. 2000/2001 saw him spending time around Europe’s Mediterranean’s coast and gaining experience in Greece, France and Spain where he obtained a thorough understanding of the regional cuisine, its spices, ingredients, aromas. Back in Buenos Aires for the school term, he continued giving lessons at the Escuela de Hotelería and catering businesses. Avid of new challenges, in the summer of 2001, he accepted a Chef de Partie position at the Seaborn Pride, the Luxury cruise ship of Cunard Ltd Cruise Line. After traveling around all the Caribbean Islands, Amazon Riviera, Spain and Portugal for 8 months, he decides to return to Buenos Aires and open his own restaurant. Back on town, in August of 2001, he opens “Baco”, a family bistro and Tapas bar, combination of exotic but simple food, with both French and Spanish, under the name of the Greek God of wine. Leaving his brother in charge, he once again leaves Buenos Aires in June 2002, destination Mandarin Oriental Hyde Park, London and, under the guidelines of Chef David Nicholson, 1*Michellin Awarded Chef, he runs the kitchen of “The Park”, the Main Restaurant of the Hotel with 140 seats and a rich Arabic and Asiatic menu. 2003 is the year that sees him settling down, this time in Dubai, when he joins the ranks Thomas Klein Intl. first as Executive Chef of elements, the Thomas Klein International (www.thomaskleingroup.com) operated fusion restaurant in Wafi City and then as Corporate Chef in charge of all Group projects. For three years Max started to develop his skills to overcome into the whole operations of the F&B department at Thomas Klein’s project were he became part of the board of directors. In 2006 and for one year, Max moved to Lenotre Paris operations (www.lenotre.com) in UAE as Corporate Chef and Operations Manager. During his duties, he collaborated to develop and expand the brand in the region opening two outlets in Dubai and one in Abu Dhabi. 2008 was a key year when Max decides to return to his hometown, Buenos Aires capitalizing all those years and experiences abroad. On April of the same year, he opens Pájaro que Comió…Fonda & Tragos. A “porteño” restaurant located in Palermo Hollywood with 120 seats. On October of the same year, Oscar award winning Tommy Lee Jones, appointed Max as his personal private chef while the actor stays at his farm in Lobos, Argentina. Product of the successful of the last two years, with several press reviews and critics to back him up, and in particular, with his happy returns to the action at the “fires” while cooking for Mr. Jones, he decides to settle his own brand: Maximiliano Pettit, Food Senses. Since 2011 he has been working as Private Chef all around the United States and Argentina. In the spring of 2013 Max was appointed to develop de food menu of Room Tapas Bar, in Prague, Czech Republic. In 2014 he published his first book of poetry “Ocupando y desocupando Seres”. Max ample exposure to various world cuisines, reflects in a cuisine that is exceptionally creative, fresh, simplicity and respectful of the ingredients drawn on.